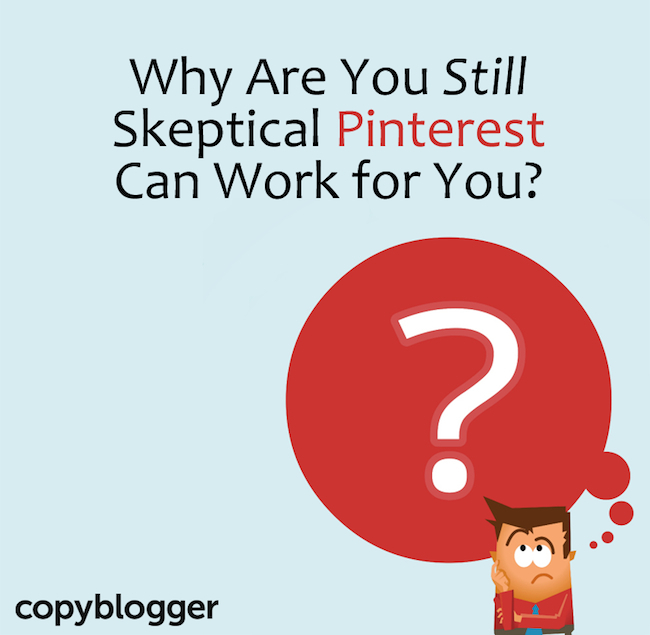 Why Are You Still Skeptical That Pinterest Can Work For You? What with all the images of Italian sunsets and glamour pics of Ryan Gosling. Pinterest, with its 70 million users, is driving an avalanche of referral traffic to websites and blogs. Right now, Pinterest drives more referral traffic than Twitter, StumbleUpon, Reddit, YouTube, LinkedIn, and Google+ … combined. This makes Pinterest a powerful tool for ecommerce. So if you’ve been ignoring Pinterest, you’re late. But there is still time to catch up — and you should. Pinterest statistics are showing no signs of stopping their upward trend, and smart online publishers will take steps to grab a piece of the Pinterest pie for themselves. This pin leads to a sales page for a $1 digital download of a worksheet teachers can use in their classrooms to celebrate the 100th day of the school year. According to the sales page, this simple worksheet image has been pinned more than 10,000 times. Blogger Nester Smith wrote this post detailing how she learned how to paint furniture. It has been pinned more than 514,000 times, and she has received tens of thousands of new visitors and subscribers from this post. You can write off Pinterest if you want. Say it’s a chick thing. Announce to the world that Pinterest bugs you. Complain that its content makes you crazy. But while you scoff, Pinterest is working for these content creators and so many more — folks who are reaping some incredible benefits while you sit skeptically on the sidelines. So how can you get up and get in on the Pinterest action? Try these steps. They work. 1. Create a useful post geared specifically for your target audience, and give it a killer headline. Sign up for a free MyCopyblogger membership and get access to the world’s best content marketing advice (including a comprehensive 20-part content marketing course and our exclusive ebook How to Create Magnetic Headlines). 2. Create a visually interesting badge for your post. Exactly like I did for this post. Examples of effective badges include the one in this photography tutorial from Click It Up a Notch and this organizing series from Home Storage Solutions 101. My favorite tools for creating shareable badges and graphics are PicMonkey (a free online image editor) and Piktochart (an inexpensive tool for creating infographics). I realize not all of you have a top-notch design team at your disposal like Copyblogger does to create graphics like this. That’s why I purposefully kept the badge for this post simple — and used only free tools to make it: to show you how easy it is to create a badge that will get the job done. 3. Embed your new badge at the very top of your blog post. Make it nice and big. It’s a good idea to make the image as wide as your content column will allow. The image should really jump out at the reader as soon as your readers land on the post. 4. Make sure it’s easy for your audience to pin your badge. You need either a simple Pin It button (you can get a free one from Pinterest) or a slicker-but-slightly-more-expensive WordPress plugin that adds a better button and lets you customize your images for Pinterest. Or you can use one of the myriad social sharing plugins for WordPress. 5. Once your post is published, it’s time to pin it to your own Pinterest boards. Pull a strong, interesting quotation from your blog post and include it in the pin description. Pin the image to several of your own Pinterest boards during peak pinning times. Early morning and late evening (Eastern Time) often work well, but test pinning at different times to see what works best for your audience. Consider pinning your badge multiple times. It’s okay to put it on several boards over the course of a day (or several days) to get the attention of as many Pinterest users as possible. 6. Repeat this process for every blog post. Tutorials, how-to’s, and other useful content does particularly well with Pinterest users. And no, your content doesn’t have to be “girly” for this to work — Pinterest is attracting more men every day, and there are many different kinds of pins doing well on the site. For example, an infographic giving specific fixes for difficult golf shots has been repinned more than 500 times, and a list of uber-cool iPhone 5 voice commands has racked up more than 2,800 pins. When you follow this process consistently, you will see a substantial uptick in traffic from Pinterest. And that traffic will convert (here come those stats) … if you’re smart about it. It’s up to you to decide what to do with your influx of new visitors. The good news is that Pinterest users are buying. Market analysis firm BloomReach did a study that shows Pinterest users are considerably more likely to be in a “buying mood” while on the site. … an online store putting “manual effort and investment” into Pinterest can get a 1.56% conversion rate on traffic coming from the site. That’s pretty close to Google’s rate – impressive for a social media site. 1.56% does beat the conversion rate on traffic from Facebook – 1.13%. Pinterest puts your content in front of a high number of “window shoppers” — people who will click when they see something they like, often with an intent to buy. Facebook users, on the other had, are typically more interested in interacting with friends. This makes sense when you think about how these two sites are set up and how they are used, as Gary Vaynerchuck explained in this episode of Marketing Smarts. Plus, according to studies, 21 percent of Pinterest users have purchased something they found on a pin, and each pin is worth an average of 78 cents in sales — which is more than a tweet is worth. And as this infographic from Shopify explains, visitors referred from Pinterest spend 10 percent more than those referred from other social media platforms … and 70 percent more than those referred from a website. Make sure your website is optimized for conversion (like this and like this) so it’s ready for the high-impulse Pinterest visitors you’re about to drive to it. And get these people on your email list as fast as possible. To do this, make sure you offer a great piece of free premium content (e.g. white paper, video series, email course) to entice people to sign up. If you do market effectively to Pinterest users, the traffic won’t just bounce away from your site … and a lot of the visitors will be in the mood to buy. What if you’re not a teacher, food blogger, or artist? What if your business is visually “boring”? Check out my recent post, 5 Ways “Boring” Businesses Can Succeed on Pinterest for ideas about sprucing your visual marketing potential. The larger your Pinterest following is, the better this will work. So it’s absolutely worth taking the time to build a larger audience of pinners who love your Pinterest content. Pin useful content consistently, and your following will grow. You can also feature your badges in other ways. They work well in email newsletters, on Twitter and Facebook, and anywhere you need visual content that will lead back to your site. Look for example of badges on Pinterest that get lots of traction, and use them as models. Check out fonts, colors, photos — learn what appeals to your audience, and use that knowledge to create better content (and better badges). Get your blog readers involved. Don’t forget to ask readers to share your posts on Pinterest. Want those new Pinterest visitors in buying moods to actually buy your products? Then make sure your stuff is easy to buy — with no roadblocks or complicated shopping cart hoopla. Pinterest users are often impulse buyers, so make sure your checkout process is smooth and hassle free. This approach does take a bit of patience. As your audience grows, more and more people will pin your posts, which means even more traffic for you. So keep creating killer content and embedding badges, and watch your readership grow over time. Do these steps sound like a lot of work? Yep, I agree — this system takes effort. But at this point we know that anything worth doing (in the content marketing realm) is going to require time and effort. Try this approach for three months, and see what happens to your traffic — I think you’re going to be pleasantly surprised by the results. And yes, I will guarantee that some Pinterest content will still bug you. You may need to grit your teeth when you see craft projects or kitchen redecorating ideas, if that’s not your thing. But putting on your Pinterest blinders and ignoring some irritating content is absolutely, positively worth it. I’ll bet even Ryan Gosling would agree. Did you like this post? If so, share it on your favorite social networking site! And then tell us … what Pinterest strategies are working well for you? We can discuss below. Editor’s note: Check out Pinfluence Academy, Beth’s in-depth Pinterest marketing program. Registration closes this Friday, March 14th. I’ve just started to use Pinterest… especially as I have also recently learned how to make simple but informative infographics (the perfect type of post for my pin-board). Thanks, Beth, for the article. I’d like to add that Pinterest can bring you “interests” not only when you have your own website audience, but when you just start from the scratch. Al you need is to participate in Pinterest community. And the like-minded people will follow you back, they’ll like, pin your images and comment. It’s like in many other communities. Hi Michael – yes, I’ve noticed that on Twitter, too. People tweet articles based on the headline, and a lot of them don’t actually read the article. I guess it’s probably true on most social networks. And I agree with you about participating in the Pinterest community. I tell my clients to be patient, and build their followers slowly….there is no magic formula! Interesting Beth, I was thinking Pinterest was useful only for a handful of niches. Agree if used correctly pinterest will refer quite a bit of traffic to your site. For some of my sites I’m seeing great results from Pinterest – for others it’s a little bit more of a struggle. But those sites that Pinterest is performing for are doing great. I’m generally following the advice you gave above, though as well as following/pinning/liking others I’m also using group boards in an ethical manner to grow my following and repins. Group boards are a fantastic way to build your following and get more traffic. The only thing I have to be careful of is that I’m not joining a group board that is too similar to one of my existing boards. I don’t want to have too much overlap. But I agree – they’re a great part of any Pinterest strategy. Lets clear up the misconception once and for all. One of my clients is in the tactical gear and survival industry. They sell weapon accessories, etc. I don’t do Pinterest optimization for them at all. Its mostly on autopilot. It still brings in the most referral traffic of all social networks. We are going to add in a dedicated strategy to Pinterest once we relaunch the site. Darren – that is fantastic! I love hearing stories of Pinterest success that is outside the stereotypical industries. I’d love to find out who your client is! Can you reply with a link? Thanks Lori – I had to do some persuading to get the business owner to let that one fly. He’s happy he did. Beth, Pinterest has been my favorite platform since I started blogging a year ago. Besides pinning content, I use them as future story boards, save things that I want to research later or just add neat looking pictures. Five of my boards are dedicated to the martial arts that I teach. You just have to be careful to put time limits on your pinning. You can very quickly lose track of time. Great article. Agreed – I have to set a timer, or I’ll be lost down the rabbit hole for hours. Thanks for reading, and I’m glad Pinterest is working well for you as a blogger! I created an account on Pinterest but till now, I haven’t got much traffic from Pinterest. I am wondering if Pinterest will work for me but I think the right kind of strategy can work. I have yet implemented any strategies. According to your suggestion, I will add a Pin It button to my article pages. Beth – For my own site, I am a little bit on the fence about using a large (tall) image for the main image. Im concerned it will detract people from reading the opening sentence. Especially since I usually reuse the headline in the image. I guess what I am trying to say, is i would like people to see the headline, the post image and then the opening sentence without scrolling. Maybe Im strange? I can see your point on that, Darren — I think you’d be fine with doing it the way you’re describing. I just recommend that you put the image close to the top so people can see it right away, but you’re right — I don’t think it HAS to be at the very top of the article, before your opening line. I wanted to jump in here because I just had this discussion with some members of the Freelance Writer’s Den. Even though we site/blog owners used to be told to put a half-column picture to the right of our opening paragraph, most people are now accessing your site through their phones. Phones can mess up this right-aligned formatting, so your best bet is to always use a full-width picture (though apparently placing it before or after your first paragraph is still up for debate in its effectiveness!). Okay, I can see I need to get to work on Pinterest. I’ve been putting it off because I don’t really understand it, but I guess I just need to jump in and try it out. I’ll have to read the post about the 5 ways boring businesses can succeed on Pinterest. That sounds like it might be for me! Thanks Beth for sharing this and motivating me. You’re welcome, Karleen — best of luck! Okay, the one thing I’ll give you is that Pinterest has been proven to convert the best out of all the social platforms. I’m not sure if that’s because Pinterest visually separates its categories or because its demographics are primarily female. Or both? But anyway, thanks for writing this! I know patience is a virtue in building just about any platform, but is Pinterest worth the effort for a male audience? Just curious what you think. The data on Pinterest is really hard to resist. And since I keep hearing how great it works for businesses, so looks like its time to get going on my Pinterest game. It just seems like the smart thing to do! Great article! I am going to give Pinterest another try. I am completely confused by the title of this article, however. I read it several times before my brain made sense out of it like this: “Why are you still skeptical? Pinterest can work for you!” If this weren’t a site about writing, I wouldn’t bring it up, but I expect a lot from Copyblogger! That’s an interesting comment Claire. If the headline were “Why Are You Still Skeptical That Pinterest Can Work For You?” would that have prevented confusion? Yes, that works too. Funny, now that I’ve read your version, the original doesn’t seem as strange to me! What made your comment so interesting to me is that I spent (no joke) 20 or so minutes going back and forth between those two — reading them silently, reading them out loud, looking at them in tweets, seeing how they affected the spacing of the headline on the post page, etc. It’s always interesting to see how different people read it, and I thought some may read it as you did. As to breaking it up into two sentences, I always try to side with LESS punctuation in a headline, since I think it can look cluttered. Err … that makes sense. Yes, I’ve been resisting Pinterest for far too long. I like to do my research on Twitter. As I find things of value, I share with my followers [#HICM, in this case]. It allows me to be social with a purpose as I educate myself. Serendipity would have it, that this week we were slated for Pinterest. I’ve got so many questions I need answered. Personal or Business account? How to make best use of hidden boards? Now they are unlimited, right? How to optimally size the graphics? What are the break down steps to the trifecta of traffic booster: Blog–>Pinterest–>Google Plus? And the list goes on…. Pinterest is a major consideration in how I would like my new blog home designed. And I’m still working all of this out. Thanks for more information to ruminate on, Beth. And another link to tweet for the cause. Beth, thanks for the tips on creating a visually interesting badge for a blog post. I do believe that your visual content needs to be tailored to the audience you are trying to attract and needs a great headline as well. With so many images around on platforms like Pinterest what would be your tips for creating visually compelling badges and content that stand out from the crowd? Beth, thanks for the informative post. Your title captured my attention right off the bat. True, when working with Pinterest, there is still some skepticism but this is an eye-opener. Maybe I’ve just gotten used to Facebook, Twitter and G+ to even bother with Pinterest and how I wished that it won’t work too because it’s just an additional task. But anyway, with these numbers, it’s high time to start working with Pinterest. The numbers and results can’t be denied. Thanks for shedding light into this subject, will use your tips to get started. Hi, Azalea – I think it’s worth giving it a try. You might look at your analytics and decide to turn your attention away from one of the other networks, if it’s not results in traffic and conversions (thus making time for a Pinterest trial). I always push my clients to put their energy in the networks that are actually paying off, in terms of getting real leads. Good luck! I’m assuming that people wanting to pin anything that might be commercial need a business account? I’m not seeing a very welcoming front page…just a slowly scrolling page and a big blob to sign up, no About page. Thanks this great info Beth. I really love Pinterest & Google plus so much or I can say lover than Facebook. 🙂 mostly traffic to my money sites is from Pinterest & Google+. Thank you for this article. I can’t seem to find the statistic about “Pinterest drives more referral traffic than Twitter, StumbleUpon, Reddit, YouTube, LinkedIn, and Google+ … combined” on the link that you provide – did I miss it? Frank, if you look at the graph and add up the percentages in the first column, you’ll see that Pinterest is higher than all the others combined. Right, I see it now, thank you Jerod! I use the GIMP (gimp.org); free, open source software that’s at least as good as Paint Shop Pro. Great article. I love Pinterest, it’s definitely helped me get my site noticed. Thanks for the informative read, Beth. It’s easy to forget that if you want your content/pins to be shared, you have to ask! A lot of helpful links in this article, too. Got a question (or two) for you. With the simple Pin it button widget you can get for free off of Pinterest, I take it you must create a new Pin it button for every blog post and tie it with the awesome badge with killer headline, correct? That’s my take, just wanted to verify. Beth, I’ve had great success gathering email subscribers from one of my pins. I created a vertical pin in Picmonkey using 4 images plus a center box with my call to action: How to Rock Cowhide in any Decor. Click link below for ideas. The link to my signup form is in the description AND in the source box, that way if someone changes the description when repinning, my signup form is still available. I first pinned this several months ago and I continue to get several new signups a week. I’m going to take your advise and pin it again now that I have 1,000 more followers than I did when I first pinned it.